RSVP needed to reserve a spot. See details below. 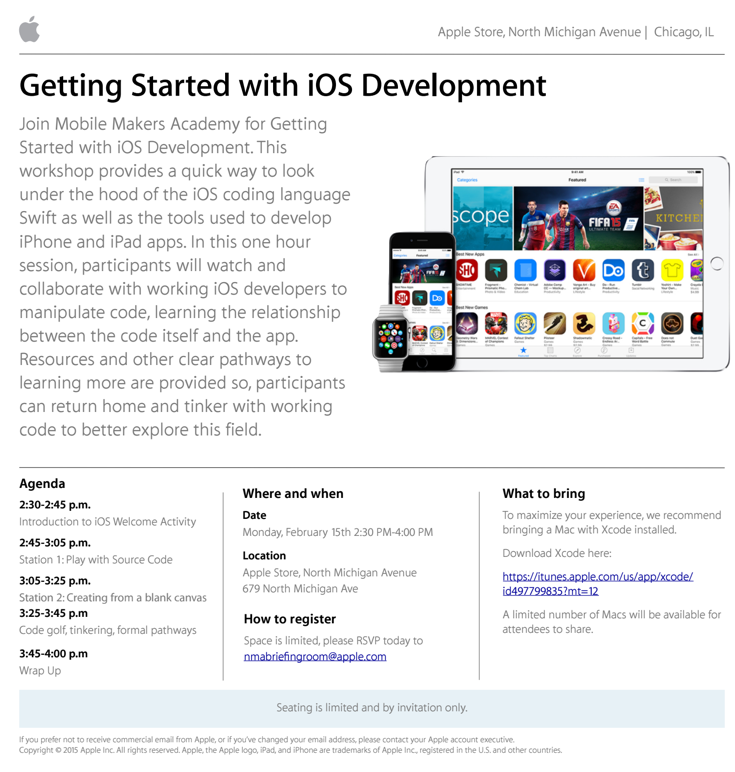 NCWIT is excited to announce a collaboration with Apple to increase the participation of young women in the 2014 World Wide Developers Conference. Please share this opportunity with your networks of students. There is a very short window to apply, so it is a bit time sensitive. No paid program membership required. (By contrast, regular ticket purchase is only available to current paid program members) Developers who are not already registered will be directed to register for free as an Apple Developer during submission of their scholarship application. Students must create an app and submit it to be considered for the scholarship. Full details and guidelines for app submission and well as terms and conditions can be found at the student pages in the links below.